I am a complete newbie to contouring, I only knew that Kim Kardashian is really into it! So, wanting to see what the hype was about, I asked for this as a birthday present. I wasn't sure what colour to get but eventually settled on Medium. This kit costs £9.99 and comes in Fair, Light, Medium and Dark. There are slight differences as Fair and Light come with a blusher (Rose Gold is in both, I think) and Medium and Dark come with a bronzer. I'm not sure how I feel about this, as I already have the Rose Gold colour in my Lace palette but I don't really wear bronzer so would've preferred a blusher really. So below are the swatches, the left-hand picture is without a flash and the right-hand picture is with. 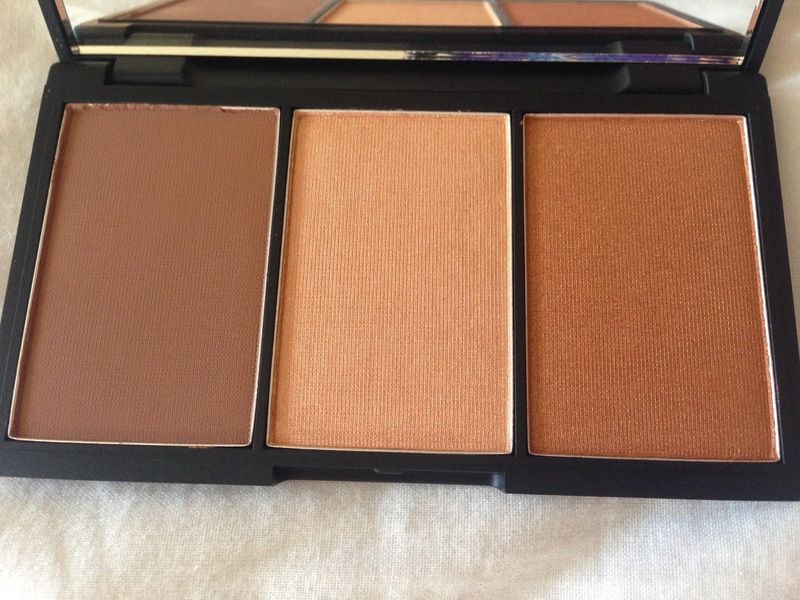 The colours run from top to bottom as they appear in the palette from left to right: contour powder, highlighting powder and bronzer. Sleek products are usually very pigmented, however these are pretty subtle so you don't have to worry about going overboard. The contouring powder especially looks pretty scary but it blends so easily and is a lot lighter when applied. Below is the daytime look I created with this kit, over just my normal foundation. Due to the nature of the product hopefully it looks quite natural and when it faded slightly throughout the day it really wasn't noticeable. I've applied the bronzer to my temples and jawline, contoured the sides of my nose and cheekbones and highlighted the centre of my nose, my forehead and between my eyes and where I apply my blusher. I'd say the highlighter is the most obvious of the three powders, however even with that it doesn't look too shimmery on. I'd definitely recommend this to anyone who is new to contouring. 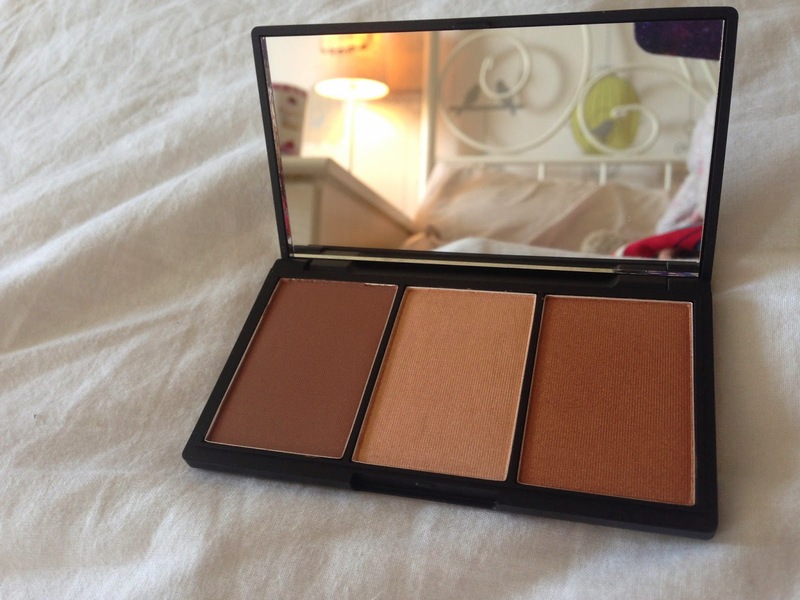 It's foolproof, inexpensive and contains three powders instead of the usual two in most contour kits. It's easy to do it subtly in the daytime or build it up to something more dramatic for a night out. I love the look of this, must check it out asap!